Who Were Herb and Myers? A Plan in 1945 to Drain Sandusky Bay? 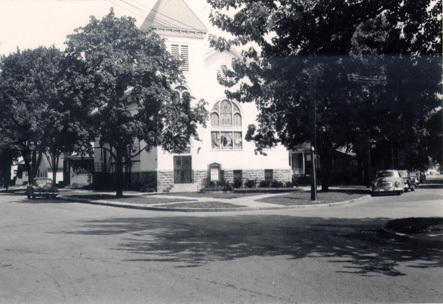 St. Stephen United Church of Christ began in Sandusky in 1882 as St. Stephen German Evangelical Protestant Church. It was located at the intersection of Poplar, Lawrence, and Jefferson Streets. In 1886 the Rev. 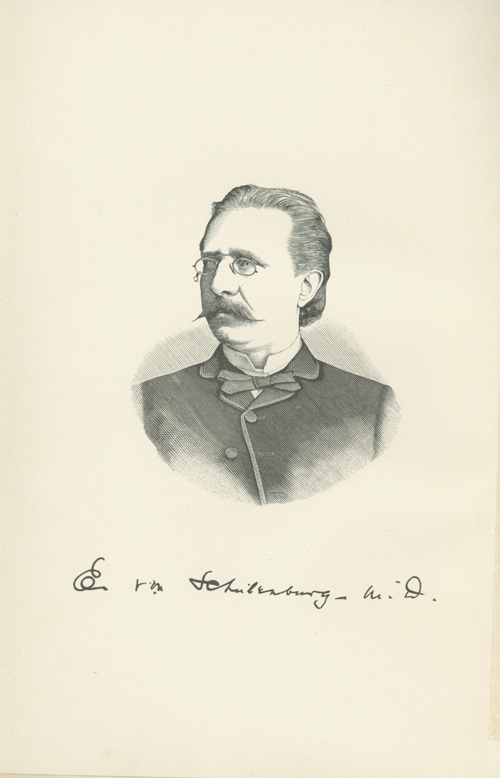 Ernst Von Schulenberg was the pastor. 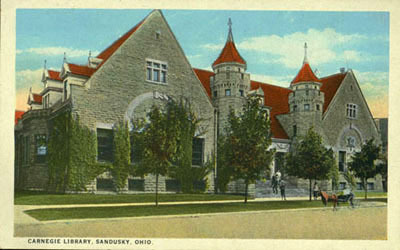 He is well known as the author of Sandusky Einst und Jetzt, later translated to Sandusky Then and Now, which chronicles the lives and activities of Sandusky’s early residents of German descent. 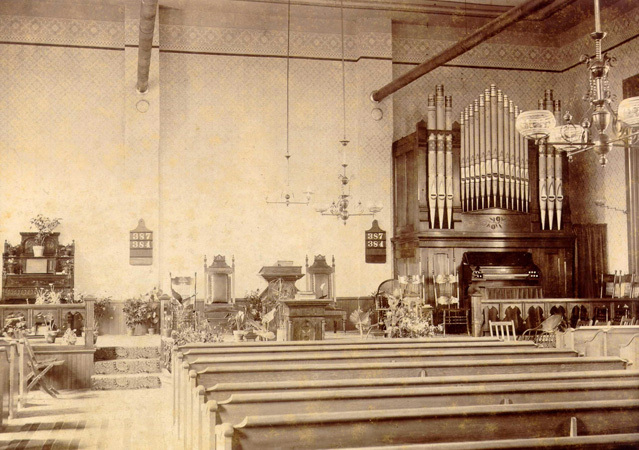 This picture of the interior of St. Stephen’s Church once belonged to Norbert A. Lange. 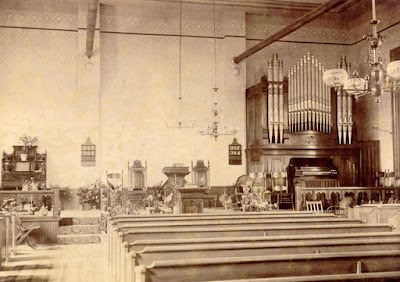 A large pipe organ and several wooden pews are visible inside the church. 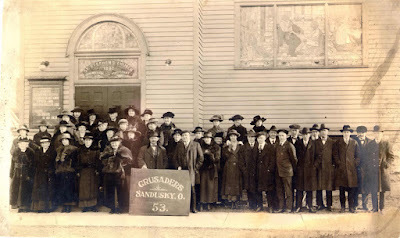 This organization at St. Stephen’s was known as the Crusaders. 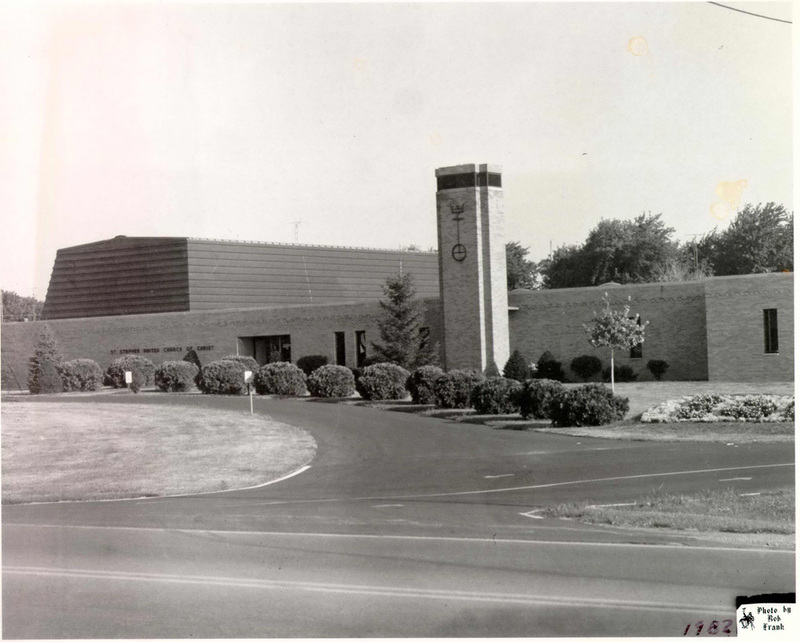 The church changed its name to St. Stephen Evangelical and Reformed Church in 1934, and was renamed again in 1957 to St. Stephen United Church of Christ. On April 25, 1965 the church dedicated its new church building at 905 East Perkins Avenue. Photographer Robert Frank took this picture in 1982. 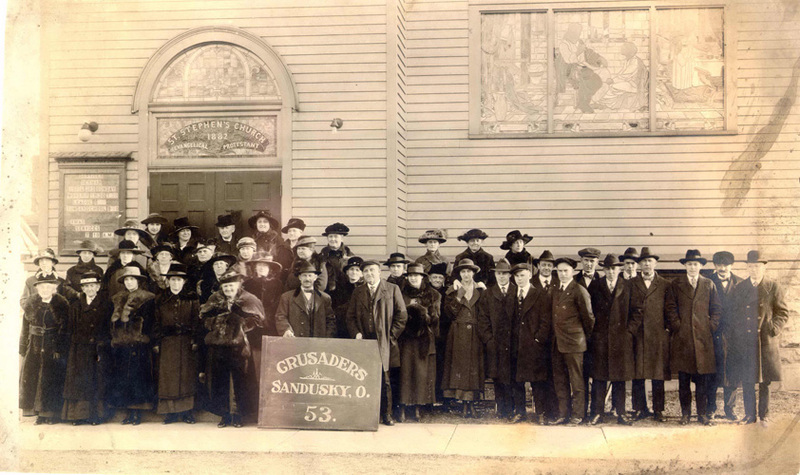 Visit the Sandusky Library to learn more about the churches of Sandusky. The historical Sandusky city directories contain church listings that provide the name and location of the churches in town as well as listings of clergymen.